Brad joined the Conexus team in November, 2018 as the Chief Talent Programs Officer to lead all of Conexus Indiana’s talent programs. He previously served as the Senior Human Resources Manager at Subaru of Indiana Automotive (SIA). He began his career with SIA over 25 years ago, as a Production Associate. He received his Associate’s Degree in Organizational Leadership and Supervision from Purdue University, his Bachelors in Human Resource Management from Bellevue University and his MBA from Western Governors University. Currently, Brad is a member of the Governor’s Workforce Cabinet and serves as an action team chair for the Cabinet. Additionally, he chairs the Workforce 2030 Council for the Greater Lafayette Commerce, serves on the Indiana Automotive Council, member of the Indiana Manufacturers Association Workforce Committee, Indiana Chamber Workforce and Policy Committee and Indiana Intern.net, Afterschool Network Advisory Council and Purdue University Technology Leadership and Innovation Advisory Board. 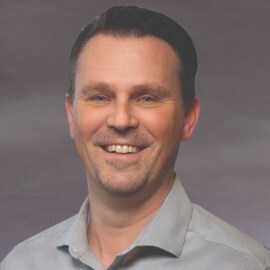 Brad formerly served on the State Workforce Innovation Council (SWIC), as an active board member of the Indiana Youth Institute, Indiana Career Council Core 40 subcommittee, and the WIOA taskforce. Brad continues to lead workforce development initiatives and collaborations across the state and region with education and training providers, economic development agencies and workforce development providers. In this effort, the region and the state continues to gain momentum in manufacturing talent development, workforce best practices and grant funding partnerships. These collaborations have resulted in over $16 million in grant funding. The intention is to facilitate greater employer engagement through a focus on work-based learning strategies, such as apprenticeship, on-the-job training programs and paid internships coupled with classroom education, facilitating the industry and sector partnerships and career pathways strategies.